Some of the following images may be classified by some to be spoilerish. If you have not watched the movie or are very sensitive about seeing images in advance then bookmark this page and come back to visit later. I finally got a copy of The Girl Who Played with Fire DVD from the library! My friend Jill was kind enough to send me time indicators when she spotted some IKEA goodness. Now, with the DVD hot in my hand I've been working on getting it posted. I was eager to see how this passage was translated to the film. The books were written in 2004 so some of the items mentioned are discontinued. Also, as I said the shopping list is huge and the movie (perhaps for budget reasons) scaled back the purchases. The result is a more sparsely furnished apartment than what we would have imagined in the book and with a more current selection from the catalog. We do not see the actual shopping occur in the movie. (I really wanted to see inside the largest store in the world.) Instead we only see the final result of her trip. All the bags and boxes are piled in her foyer / front hall. You can already start to make out what she has purchased. The tall white roll on the right is her mattress. Next to that is a NISSE folding chair (really, with all her new money a folding chair*? ), and KULLA lamp in its box. In the background of the picture below you see the NISSE folding chair open next to the assembled KULLA lamp. 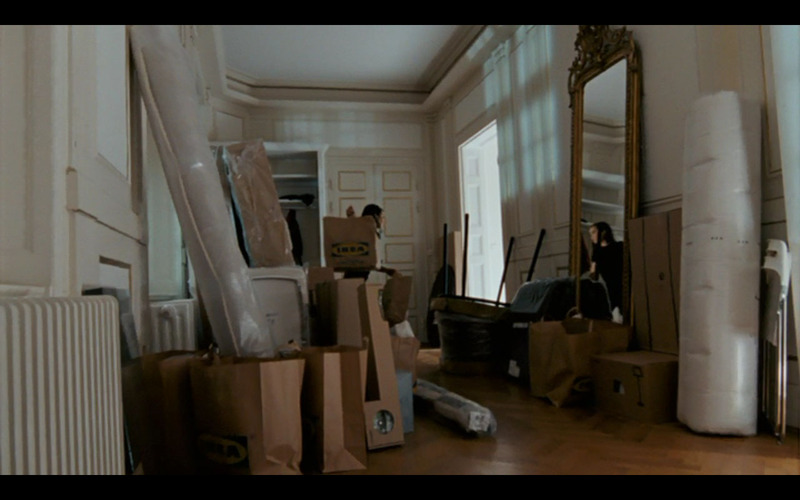 Boxes still litter the apartment because unlike in the book Lisbeth is assembling all her purchases herself. Here, aided by a power drill and a can of beer she is finishing a SUNE stool. The SUNE is discontinued in the US but I was able to still find it listed on the Swedish website. 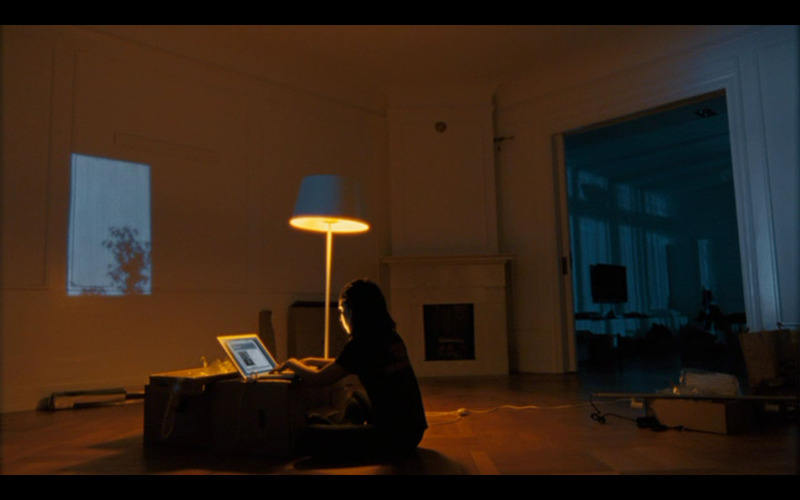 I love the image below of Lisbeth using her boxes as a desk. It makes a pretty tableau. Although if you think about it her table can be seen, already assembled, in the very first image from her foyer. So why doesn't she just drag it over? I'm honestly don't know the name of this table. Anyone know? Here is a full view from later on in the movie. *So she has at least 3 folding chairs but not even one (of the five from the list) POÄNG chair? Lisbeth has money but she can't even buy herself a nightstand? 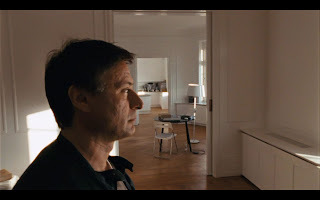 We have to take a look at her kitchen and at a couple other apartments in the movie. That will have to wait until tomorrow. Stay Tuned.